It is now Christmas. Please adjust your misfortune levels accordingly. 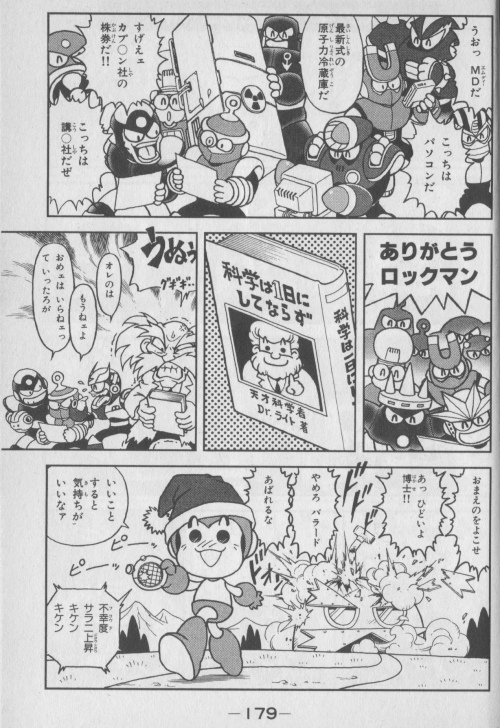 This was part 3 of Koji Izuki’s Thank You Rockman mini-series that was published at the end of Rockman & Forte volume 2. 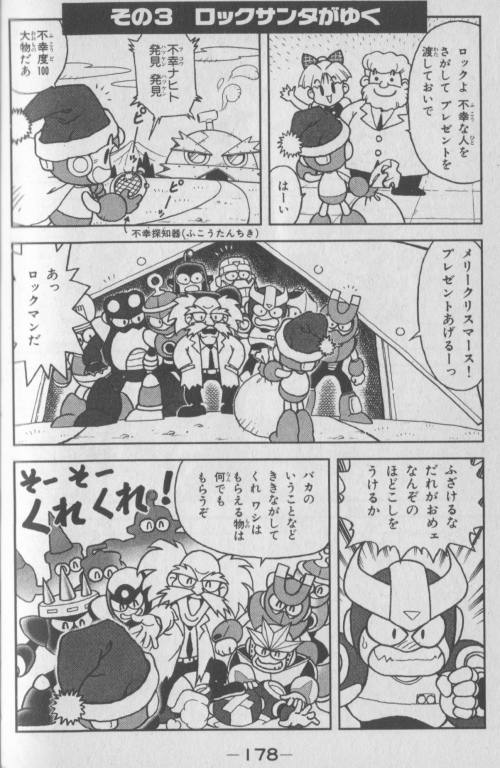 By the way, this month Rockman Tanjou has begun uploading translated chapters from that manga. Might be fun to check that out later. 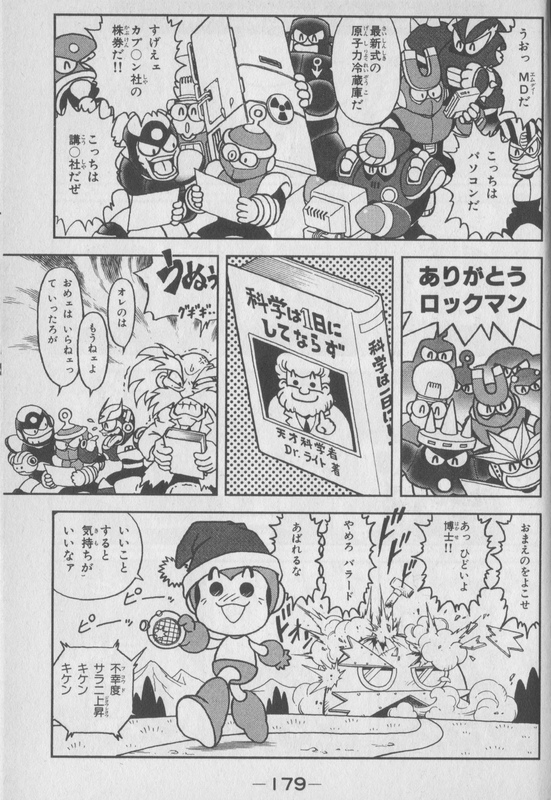 8 Comments to "It’s A Mega Manga Christmas with Santa Rock"
Merry Christmas to you too! I love your blog!! The same way he drives a car in Battle & Chase. XD Although in other manga he fells bad when Gravity Man gives him an ice cream but he lets it fall because of his lack of hands. …is that a Dragon Radar he’s carrying in the last panel? 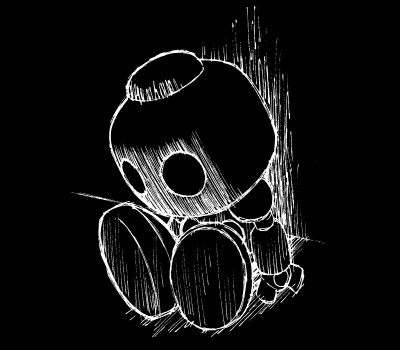 I know it’s unrelated but http://www.facebook.com/getmeoffthemoon needs help, I’m thinking all possible Mega Man fan sites to come together to reignite the flame for the Mega Man series. Maybe collaborate on something big. Hello! Whats happening to your brand new news ? The last time was in Dec 2011. Please do not give up this link. I love your news. Please keep continue your work. Hello ??? Whats happening to your brand new news ? The last time was in Dec 2011. Please do not give up this link. I love your news. Please keep continue your work.